Search, share, and discover. 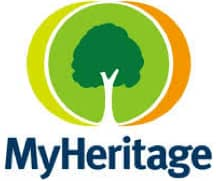 Better interactive tools for genealogy and preservation of treasured family heirlooms. Kindex™ empowers Family Organizations to merge and transcribe family documents as an evolving, accessible volume. Preserve and share your life story One Chapter at a Time. Get to know your family tree through photos, stories, and other memories in your Book of Life Histories. AncestorGuru.com gives people a new way to learn about their ancestors through games and puzzles. Using FamilySearch as a search engine for searching Amazon, YouTube and historical news. Boost your interest in genealogy. Visualize your family in new ways.